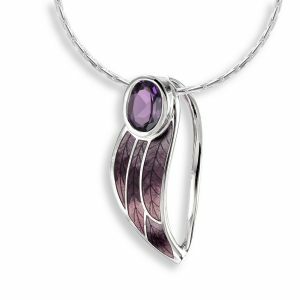 Amethyst, the birthstone of February, is a variety of Quartz which can range in colour from mauve to a rich purple. Amethyst was once considered one of the most valuable gemstones along with diamond, sapphire, ruby, and emerald and has a rich and romantic history. Amethyst was worn by royalty and nobility because the royal colour was purple. 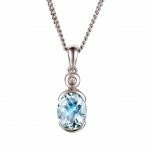 In the middle Ages, it was considered a symbol of royalty and used to decorate English regalia. In those medieval days of romance and chivalry, an amethyst, presented by a lady to her knight, or a bride to her husband in the shape of a heart set in silver, it was said to confer the greatest happiness on the pair who would be blessed with good fortune for the remainder of their lives. It is said that the signet ring worn by Cleopatra was an amethyst, engraved with the figure of Mithras, a Persian deity symbolizing the Divine Idea, Source of Light and Life. 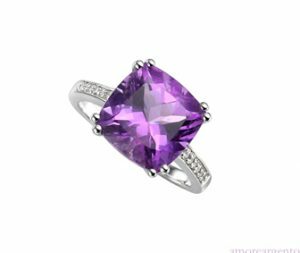 Amethyst is traditionally the stone of Saint Valentine, who wore an amethyst engraved with the figure of his assistant, Cupid. Saint Valentine’s Day is still observed in February. 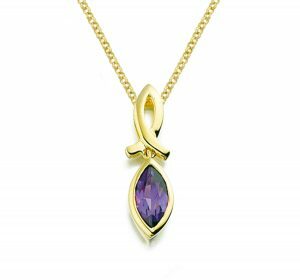 Our goldsmith uses Amethyst in bespoke commission pieces made in our own workshop. We have a range of Amethyst pieces in our shop. Call in or ring, speak to an experienced member of staff for more information.